I started thinking of all the advantages we have as seniors in Anamoose. 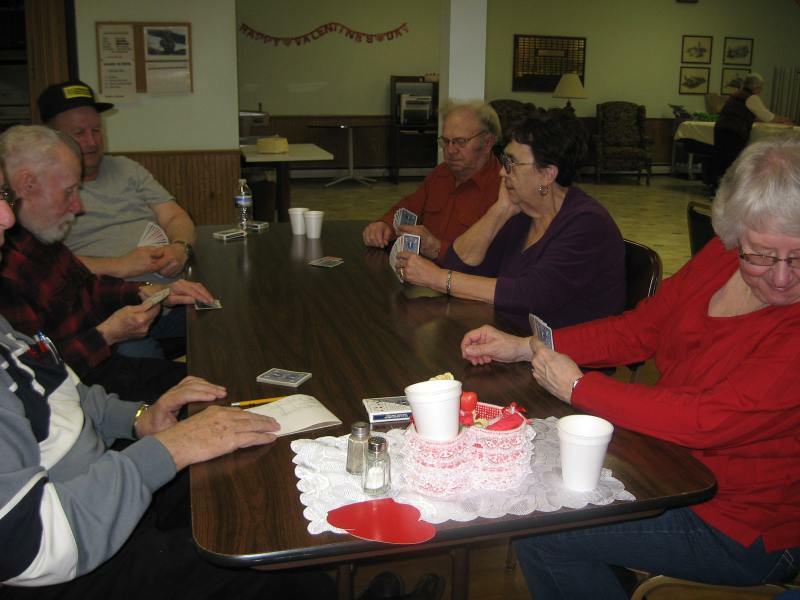 We have a Senior Citizen’s Center where we have monthly meetings the first Monday of each month as well as socials the third Friday. 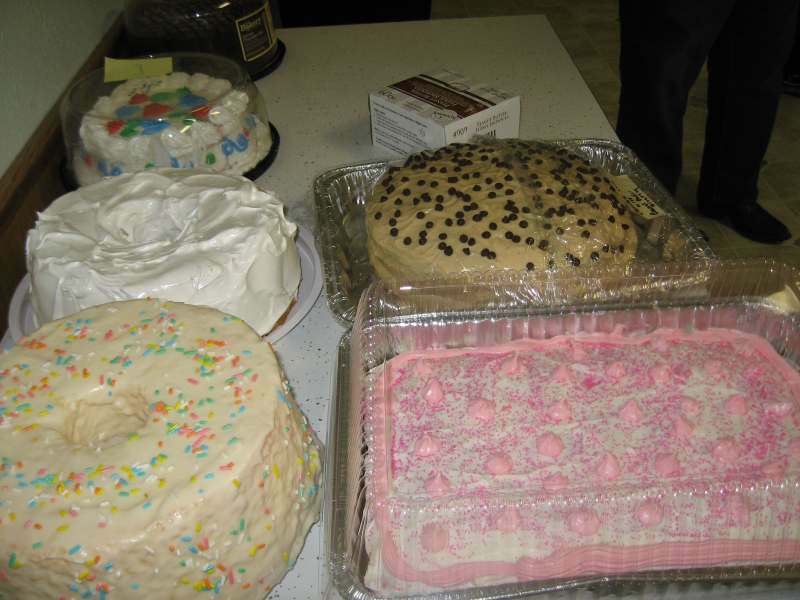 These are some pictures from the Valentine Cake Walk last night. During the week we can eat at the Anamoose café, but on Monday’s when the café is closed we can eat at the senior center. The café and senior center will deliver meals to home bound seniors. We can get foot care from the McHenry County Nurse when she comes to Drake every other month, or Colleen Voeller, RN, will come to our homes for foot care, BP check, etc. At the Anamoose Housing the tenents get together every Saturday for coffee and visiting. Mardell Helm and Janice Buccholz visit Catholic homebound elderly and take them communion. Mardell, as a Parish Nurse, checks their medical condition. 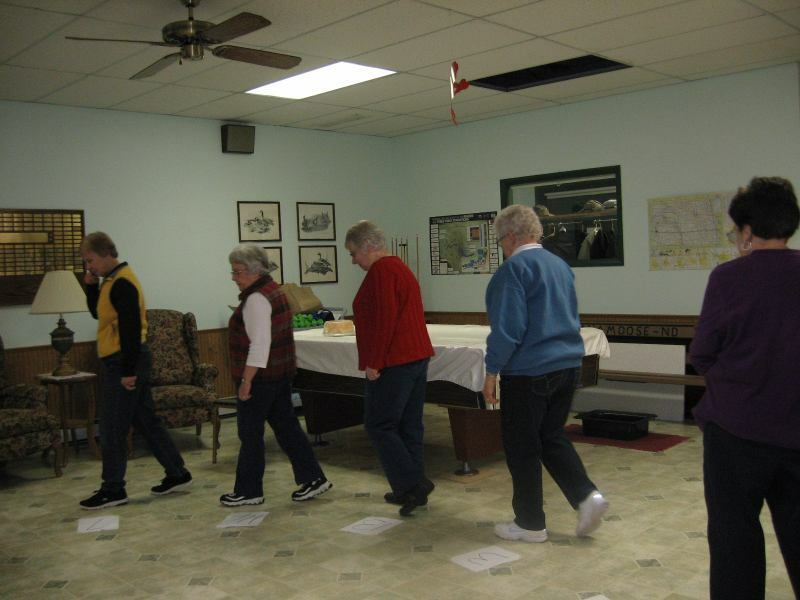 Exercises through the RSVP Senior Program are held every Monday and Thursday at 9:30AM. at the senior center. There are several programs where seniors can work. Esther Doubek and Gloria Engen work for the Senior Companions where they visit elderly shut-ins. Kathy Selzler works for ND Human Services. She assists seniors with things such as laundry, shopping, meal preparation and personal cares so they can live alone and not have to go to a Nursing Home. Barb Martin is a Foster Grandparent at the Elementary School, and Lois Rott was a Grandparent till she passed away January 13th. A Souris Basin Transportation Bus will take passengers to Minot on Thursday for appointments, or wherever they want to go. So you can see there are many small town advantages for seniors in Anamoose.